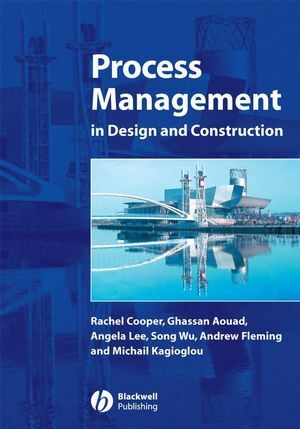 This book provides a comprehensive introduction to the field of process management in design and construction in order to meet the business needs of the construction industry as they change in today’s highly competitive global environment. It identifies the current state of the industry in the process management field, describing trends and developments (including information technology), and demonstrates these through case study evidence. Practical guidance is offered by identifying potential pitfalls, illustrating best practise drawn from construction and appropriate manufacturing applications. The overall approach is a holistic one, based on practical experience gained throughout the past decade both in the academic and industrial environments, including leading a number of research projects on process and IT related topics in construction and manufacturing industries. Dr. Rachel Cooperis Professor of Design Management and Associate Head of Research in the School of Art and Design at the University of Salford. She is Chair of the European Design Academy and edits the international journal, The Design Journal. She has published several books and papers in design management, new product development and conducted major research programes in this field. Mike Kagioglou is a Professor of Process Management and Head of the School of the Built Environment, University of Salford. He comes from an engineering manufacturing background and for the past 12 years he has been undertaking research and teaching in the area of the built and human environment. Mike is currently the Director for Salford Centre for Research & Innovation and the Academic Director for Salford University of Collaborative Health and Care Infrastructure Research and Innovation Centre. Mike has published over 100 academic and industrial papers and reports.